First, the most pressing Black Friday 2016 news from Saks: through noon today, the site has a huge selection of merchandise 60% off, but you have to act very quickly before those prices go back up–that’s the nature of the beast. If you want to shop at a more leisurely rate, though, Saks still has you covered with its ongoing Designer Sale, which has discounts of up to 40%! 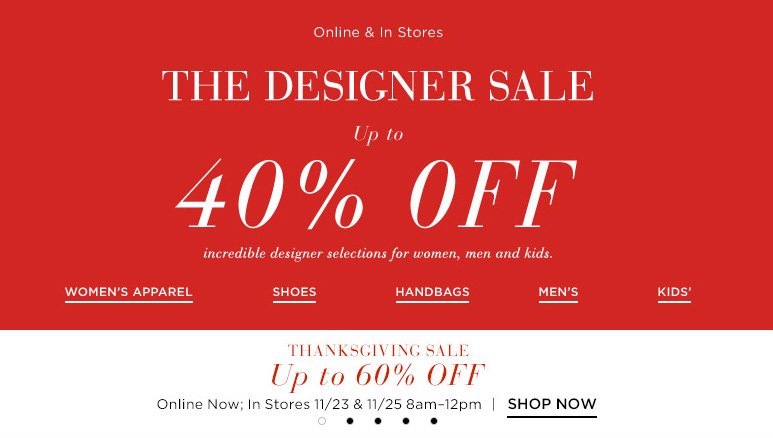 Shop Saks Black Friday Now!